在二十世纪三十年代中期，CR率先发展特定配方的可硫化橡胶（合成橡胶）用于高品质密封材料。 这一发展带动了生产工艺、新密封技术的革新，并扩展了其在工业领域的应用。Chicago Rawhide (CR) is a leading provider of sealing solutions around the world. 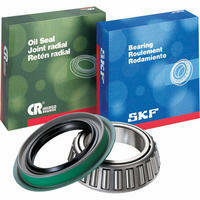 Wherever a rolling bearing helps a shaft rotate, or a wheel to turn, a radial seal is required. CR has literally thousands of rotary shaft seals, but there is only one "right" seal for each job. 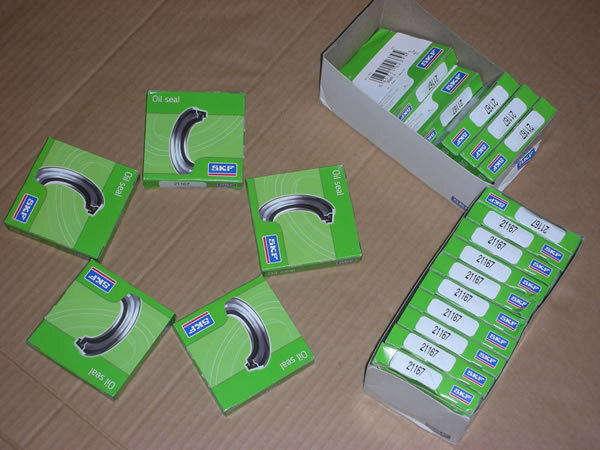 The criteria for selecting the right seal is not by size alone. In today's industrial environments, more and more variables need to be considered for optimum performance. CR has demonstrated a unique ability in industrial sealing systems to select and blend just the right compounds to produce seals capable of withstanding extreme heat and abrasion. This covers materials from standard nitrile to propriety blends like Duralip and Duratemp? as well as high-performance materials such as CR LonglifeTM and PTFE. CR offers over 3,000 individual seal designs, in over 25,000 variations of size and lip materials, ranging in size from 3.2mm to 4,572mm (0.125 inches to 180 inches). Among many industrial accomplishments that can be traced to CR are large diameter seals with encapsulated garter springs that lock permanently in place and the EP2000, the first seal developed in several years specifically designed for demanding mill applications. CR also developed the reed block, a unique breathing mechanism used in small two-stroke engines.